(NaturalNews) If your diet gave you high cholesterol, your food choices can lower it too. Eating fatty, fried, high calorie foods sends your cholesterol levels through the roof, especially if you make a steady diet of these unhealthy foods. If you have high cholesterol, you are not alone - the Centers for Disease Control and Prevention (1) says that 17 percent of the adults in the United States has high cholesterol. The first step is to understand the role cholesterol plays in your body. You may be surprised to learn that cholesterol is essential to every cell in your body. Cholesterol is important to cell membranes, metabolism, and for the synthesis of hormones. Cholesterol is so important, in fact, that your liver would make cholesterol if you did not consume any foods containing cholesterol. Most people in the United States consume much more cholesterol than their bodies need. Cholesterol is a fatty, wax-like substance that can build up in your bloodstream and increase your risk for heart disease. High cholesterol contributes greatly to the high rates of heart disease among Americans. Many people try to rely on medications to lower cholesterol levels artificially. These cholesterol-lowering drugs, known as statins, work by blocking a substance your liver needs to make cholesterol. While some find these drugs beneficial, others worry about the associated risks of statins, which include cognitive impairment, increased risk for high blood sugar levels and the development of type 2 diabetes, and muscle damage, according to the U.S. Food and Drug Administration (2). Once you know how to lower cholesterol using foods, you can keep your cholesterol levels under control without resorting to dangerous drugs. Oatmeal contains soluble fiber, which reduces the amount of cholesterol put into your bloodstream. 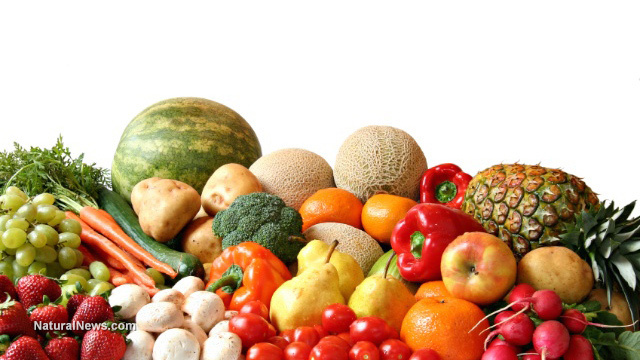 Mayo Clinic (3) recommends you consume 5 - 10 grams of soluble fiber each day. A 1 ? cup bowl of oatmeal provides about six grams of fiber. Add another four grams of soluble fiber by tossing in bananas or other fruit. Eat apples, grapes, strawberries and citrus fruits. These fruits contain pectin, a special type of soluble fiber known to lower cholesterol levels. For best results, enjoy fish baked or grilled rather than fried. Cook with low-sodium, low-fat oils and seasonings. Eat a handful of nuts on most days of the week - about an ounce and a half a day will do. Walnuts, almonds and some other nuts are also rich in polyunsaturated fatty acids that keep blood vessels healthy. Do not go too nutty, though, as nuts are high in calories and could lead to weight gain. Olive oil contains a potent mix of antioxidants to lower your cholesterol. Replace two tablespoons of butter, lard or mayonnaise with olive oil each day. Again, olive oil is high in calories so go easy on the amount. Sterols and stanols prevent your body from absorbing cholesterol from the food you eat. Food scientists extract sterols and stanols from plants then add them to foods, including margarine, granola bars, fruit juices and even chocolate. The Harvard Medical School Family Health Guide (5) says that consuming 2 grams of plant sterols each day can reduce your unhealthy cholesterol levels by as much as 10 percent. One of the best ways to lower cholesterol is to avoid eating those foods that raise levels. Cut back on saturated fat, which is that white "marbling" you see in meat when it is cold. Start by replacing fatty cuts of meat with extra lean versions, opting for low fat or skim milk and cheese instead of regular varieties, and opting for vegetable or olive oil instead of butter. Avoid trans fat whenever possible. Lower your cholesterol and associated risk for heart disease by making smart food choices. Your heart will repay you with a long and healthy life.